A business broker is an intermediary that facilitates the sale of a small to medium sized privately held business by working with both sellers and buyers. While there are significant differences, but in some respects, business brokers operate in a similar way to real estate agents. However, the practice of business brokers is strictly limited to business entities. What Do Business Brokers Actually Do? Business brokers essentially help people sell their businesses. They perform an assessment of the business, gather updated financials and other pertinent information about the business, and suggest a suitable selling range to the seller. Business brokers also advise of any information shortfalls and how likely they are to affect a sale. Buyers require this information during the sale process to make an informed purchase decision. The role of the business broker is to act as a conduit for the information passing from the seller to the buyer in this regard. Business brokers also help buyers of businesses by suggesting a range of business available to buy that match their skill set and individual investment criteria. Business brokers also help in the negotiations between buyers and sellers and hold the deal together until the transaction is settled by liaising between the parties constantly. While good business brokers advise sellers and buyers alike to consult their solicitors, they also understand the legalities and pitfalls of selling and buying businesses and the paperwork that should be completed for an effective sale. Knowing how to navigate the red tape typically involved in selling or buying businesses can help shorten the process significantly, usually by several months. Do Business Brokers Offer Real Value? If you are selling a business, the business broker not only helps you find potential buyers but also acts as a buffer between you and the buyers and introduces you only to pre-qualified buyers. This helps take a lot of the stress out of the sales process. Business brokers also discuss the logistics and value propositions of your business in a constructive and succinct manner. They also investigate how long a potential buyer might take to move to the area, the financial viability of the buyer, and whether they can afford to buy the business. The business broker can also find out the buyer’s background and experience and whether they are able to own and run the business. If you are buying a business, the businesses that the business broker presents to you are chosen based on your requirements. You therefore never have to waste time reviewing inappropriate businesses or those beyond your budget. A business broker can also help you find opportunities that may assist or suit both parties during the sale negotiations. A business broker is responsible for making selling or buying a business much faster, less stressful, and much easier for the seller and buyer. Leaving all the hard work to someone else and saving time are both things that you cannot put a monetary value on. If you would like to sell or buy a business you should get in touch with a reputable broker to ensure a smooth process. A business broker will provide you with all the necessary details and information to make an informed buying or selling decision and ensure that the overall process goes smoothly. If you are getting ready to start a new business, it can be hard to keep track of all the little tasks necessary for a successful launch. This is why it’s so important to have a good business startup checklist like this; Australian business startup checklist 2016. Coming up with a great business idea is only the beginning. Before you open, there are a lot of things you’ll need to check and double-check. The way you develop and carry out your idea will determine the speed and level of your success. Many aspiring business owners feel as if they just don’t have the time to sit down and think a business startup checklist all the way through, but this is a mistake. Creating a checklist should be the very first thing you do, even if you are unsure of all the steps you need to take. Getting your ideas organized and prioritised can help get you motivated to start chipping away at all your necessary tasks one by one. You can always make adjustments and additions later if you need to. It is much easier to create your business plan when you have a good check list in place. A well organized, yet the flexible checklist will help you get a clear vision of your business plan. Keep in mind that the basis of your business rests in a thoroughly thought out and solid business plan. You will refer to it constantly for the initial five years your business is in operation. When you want to attract investors, you will show them your plan. If it is somehow lacking, you will have trouble getting the funding you need for success. Market research is another area that is dependent upon a good business startup checklist. In market research, it is important to pay close attention to every little detail. You’ll need to understand the market conditions at the time of your launch. You will also need to learn about the ways in which potential customers respond to concepts and your business, itself. You will do this by conducting surveys. All of the steps necessary for conducting successful market research should be included in your startup list. There are a few options for the actual logistics of creating a good checklist. You may not have time to do it yourself, or you may need some good ideas to get you started. In this case, you can use a template type checklist that provides you with the basics and leaves you space to add your important items. This can be a smart way to go since it saves you time and energy and helps ensure you don’t forget any important items. You can simply get your checklist done quickly and efficiently and get started on your business. Starting your own business is challenging and rewarding. When you do it right by beginning with a comprehensive business startup checklist, you will have the satisfaction of seeing, your concepts manifest in the real world. Good concepts translate into a good living with a proper investment of time and resources. Keeping the office clean is very important for both you and your clients because it ensures comfort. Maintaining the office will mean regular cleaning. There are some offices that hire a full-time cleaner and expect them to clean the carpet, but this is not the right approach to take. It is a good idea to hire a professional commercial carpet cleaning company. There are many professional carpet cleaning companies out there ready to help you out. You just need to find the right one. A professional commercial carpet cleaning company has high-performance cleaning machines for efficient and fast cleaning. What are the benefits of hiring a commercial carpet cleaning? There is nothing more encouraging than an employer who is very passionate about their business. This is why it is important to show your passion towards providing your employees with a good working environment. Employees will more productive because they will work harder knowing their workplace is cared about. A dirty office will create an uncomfortable work area and this can result in lower motivation in your employees. By having a commercial carpet cleaning service, you will be showing your commitment to providing a friendly working environment. The appearance of your workplace will always matter when it comes to the issue of attracting and keeping customers. Even if you have great products and services but your business looks or smells bad, then the customers will start to look for other alternatives. Keeping the carpets clean will help your workplace or office look beautiful and your customers will be more than happy to spend more time there. Dirty carpets usually hold fine abrasive particles that can cause damage to the carpet over time, increasing wear and tear. With professional carpet cleaning, the carpeting will last much longer and look better. The leaves of the carpet will be lifted and the colors will look fresh. The more a carpet is damaged, the more dirt they hold. This can sometimes be a problem for people who are allergic to dust. There is no reason why the air quality of the air should be poor when it can be easily fixed by a professional carpet cleaning company. Dirty carpets can cause sickness, encourage fever, headaches, and colds. The trapped dust and bacteria in the carpet will increase the time your employees call for sick days. Dust mites and many other allergens can be easily embedded deep into the carpets, and the best way to prevent this is by cleaning the carpet with a commercial carpet cleaner. This is because they use special chemicals and hot water to clean the carpet. There are some companies that have the carpet cleaning done by employees. There are different types of carpeting, and each of them will be cleaned in a different way using hot water and specific chemicals. Carpet cleaners are able to know the best method of cleaning because they have been doing it for some time. Carpets can easily get damaged if not cleaned in the right way. You will not have to worry about anything because everything is taken care of by the commercial carpet cleaning company. You will realize that it is much more cost-effective to hire a professional carpet cleaner. Trying to buy your own carpet cleaning equipment and cleaning chemicals will spend way more than what they could have if they hired a carpet cleaning service. Factoring in the costs of hiring an employee will increase the cost even more. The money saved can be directed into other important areas of the business. The ancient Romans had a saying that is still extremely true today – even in our modern society of the 21st century – and this saying was ‘caveat emptor’ – in essence, it is the principle that if you are not in possession of an extended warranty, then you as the buyer take the risk. It is sometimes more commonly translated as ‘let the buyer beware”. Nowhere is this truer than when purchasing a property. It is well known that property will usually be the largest investment that any consumer will make in their lifetime. So if you are in the market for a home it is absolutely essential that you ensure that the residential property is free from any defects or hidden problems prior to signing that final document that changes the ownership into your name. The only way to do this with confidence is to organise building and pest inspections with a local expert like The Pest Company. Two of the most important ways of doing this is to insist that the owner from who you are purchasing the property has had the building inspected for faults – and has also allowed a qualified professional check for any pest infestation that may lead to problems either currently or at a later date. If these inspections are not carried out professionally the buyer can be in for an extreme shock as far as the costs for repair are concerned. For instance in regions where termites are common and wood is used extensively as a building material the damage that termites can do is always apparent – but it can seriously affect the structural integrity of the dwelling. If problems aren’t serious the results of inspections can still put the bargaining power back into the hands of the buyer. those minor problems can result in significant savings after sitting around the negotiating table. So what are the most common types of inspections that should be carried out? The building inspector should make sure that all roofing materials are in good condition, as well as guttering. Failure to do this can result in extensive water damage and a significant insurance premium increase. Of course, the entire exterior and interior of the building should be examined to ensure that there is no evidence of problems with structural integrity. An examination of the finishes to the home, including discoloration of paint finishes, should also be carried out as this may be an indication of deeper issues. If there is a basement space then this should also be inspected to ensure that flooding and other water-related problems will not affect the livability and value of the property at some future point. Sealing of such spaces is also a point which must be considered. Of course, the aforementioned pest inspection is absolutely essential. There are many types of reports that are supplied and many depend on the individual inspectors. Some supply simple lists where boxes are ticked off for compliance while others can supply multi-page reports which go into great depth regarding the state of the property. The buyer should also take into account the fact that costs for these reports can vary – however balancing their value against the future value of a large investment makes a more extensive report an excellent first step to protecting that all important investment and in fact the happiness of those who would call the property home. As part of the process, the buyer should also request an electrical compliance certificate. It may also pay in the long run to obtain the opinion of a master plumber as to the state of fixtures and plumbing. Your bank account and mortgage obligations are going to place the significant strain on your finances – a little money spent now will go a long way to reducing the pain of obtaining your dream home. Whether dealing with a natural emergency, camping or just trying to make sure that visiting family members have a safe place to stay, dome (aka container) shelters are the solution that no-one knows anything about. The traditional housing and temporary shelter shape favour sloped roofing, square sides, lots of corners, and ideas that are meant to maximise space. However, this may not be the best possible use of space and is not the most efficient way to use resources, especially in an emergency situation. The first thing that is so impressive about this type of shelter is how it keeps heat or cool inside of the structure. Studies have shown that the dome shape actually reduces the energy needed to keep a comfortable climate in any given structure by almost 40%. That’s a huge reduction in energy costs when you are talking about domes as a home, but more importantly, it is 40% less drain on resources for an emergency situation. When trying to escape from torrential rains, blistering heat, or any other weather-related issue, this energy saving can literally mean the difference between life and death. When using a shelter as a camping shelter, it means that heat stays in longer and everyone can be more comfortable during the hottest parts of the day. In addition, the idea that having around shelter will mean that there is less room to live is actually false. This is because the domed design doesn’t run into the same issue are square or rectangle ones – unusable space near corners. When everything goes in a circle, every area of the shelter is just as usable as the rest, allowing more people and more stuff to be inside the shelter and not limiting you in how everything has to be laid out. This actually allows larger beds or more storage capacity than you would normally have in a typical tent or another shelter. Dome Shelters are also easier to put up as they generally support themselves rather than relying on outside supports. To get a dome shape, any poles or supports must connect to themselves, make the shelter stronger with less hassle. Anyone who has put up a tent and found that it was sagging in the middle due to a pole that wasn’t placed correctly will understand why this is a big deal. This also makes them stronger, allowing them to withstand weather that normal tents and shelters would buckle under, making them perfect for disaster areas. For people who just want to camp or want to live in the wilderness for a while, they are also easy to equip with a number of different options such as lighting, security, flooring, and more. Their round design makes it easy to keep everything in one area, but also makes lighting and other fixtures easier to use. When light is placed in the middle it reaches the entire shelter, not having the issues that come from dark corners or needing to place a lantern on each side of the tent. Finally, dome shelters can be made more Eco-friendly by the addition of different vents and layers, making them more permanent and making it easier for the people using them to control their own climate. This ability to control the temperature and to winterise the structures makes them a great year round option. Dome shelters are the future of camping, disaster relief, and even the future of sustainable off the grid living. They are a completely customisable dwelling that makes the most of the available energy and ensures that inhabitants are always safe, protected, and comfortable. Outdoor blinds are considered the best solution for keeping the heat out, especially during hot summer days. Blinds not only help keep the patio shaded but also reflect UV rays thus protecting you and valuables in the house from the harmful effects that come with it. One of the best things about outdoor blinds is that they are very easy to use or install. You have the option to choose between fixed, roller-style, shuttered, and retractable blinds this should be based on your preferences and how you wish to use them. With many design options to choose from, determining the best style of your home can be a little challenging. You can, however, make your choice based on space and use for the same. Talking to an expert about this should also help you identify the best design for the desired use/purpose. As mentioned earlier, outdoor blinds come in retractable, fixed, shutters, and roller-shade designs. Every design has its pros and cons. For instance, a retractable outdoor blind will come in handy just when you need it. Roller-shade and retractable blinds can be controlled remotely to attain desired results. Fixed blinds, on the other hand, aren’t removable, hence remain in the same position even during winter when you least need them. You can have your blind matching your home décor, or in any other color, you can think of. Some of the best manufacturers/suppliers of the same allow customers to choose whatever color they want. You can also have multi-colored blinds too, though with a custom order. Many people, however, choose to go for warmer colors for outdoor blinds, with some going for the exact opposite. Whatever your theme is, you can have blinds matching it in no time. Unless you only need it for a season, always go for the best quality outdoor blinds you can find or afford. The blind’s strength is mostly determined by the construction material used. For instance, the acrylic fabric is of a higher quality and stronger than polyester materials. Canvas is, however, the strongest of all hence considerably more expensive and longer lasting. If you, however, are looking for style and not durability, you could then opt for clear and tinted PVC. These options come in handy in not-so-hot weather and help amplify certain aspects of your homestead, and especially the patios. Choosing the more durable materials, however, gives you value for your money in the long run. Outdoor blinds are commonly installed to help protect the house from harsh sunlight, rains, and wind. As long as the blinds are installed correctly, your home will be shielded from harmful ultraviolet rays that cause aging on valuables in the house. The reduced heat gain also means improved lifespan for outdoor furniture and lower bills as well. Outdoor blinds add privacy in your home by blocking clear line of sight from public areas. This comes in handy for those living close to the road or shopping centres. Blinds also improve your home’s aesthetics making it have a cozy, more comfortable look. Motorised blinds also do help a lot when holding a party within the compound. Having outdoor blinds installed in your house also improves its resale value. While many people may take it for granted, homes with blinds over patios, veranda, and such sell at a higher price as compared to similar ones without. These are just but a few of the many benefits and reasons for investing in outdoor blinds. It would, however, be advisable to choose your supplier wisely to enjoy all these advantages. Roy Hiscock is the owner of a storage facility called Storage Max in the suburb of Ashmore (part of the Gold Coast in Queensland) and is an expert when it comes to self-storage units. His storage sheds come in various sizes suitable for all types of needs from residential to commercial storage. Many homeowners that run out of space will opt to rent a self-storage unit to help keep their extra belongings out of the way. Among these items are usually holiday decorations, family heirlooms or large bulky furniture. Since storage units for the self-serving crowd are pretty affordable, many homeowners find them a reasonable alternative to cluttering up a garage or making up for a lack of one. With that being said, even though you get a great deal of square footage with your storage unit, staying organised is an integral part of preventing any mishaps. After all, should you need to gain access to a particular item, it could become a nightmare to sort through dozens of smashed boxes! Paper boxes are a great deal cheaper than plastic bins, but they will not hold up well over the years. In fact, it’s easy for bugs to get inside of these and stacking them can be extremely hard. If you’re opting to stack paper boxes, you always have to organise them by width and weight. However, if you purchase plastic storage bins that are roughly the same size, they hold up well over the years and they’re easy to stack. Always label the contents of your boxes. When you’re first organising them, you may still remember what’s inside, but over the months in storage, you will start to forget. If you have something particular that you’re going to likely miss, make sure to make a note of it on the storage box. When in doubt and for the sake of organisation, keep similar items stacked in one place. This can prevent you from removing boxes upon boxes when you’re looking for a certain item. Self-storage units can fill up quickly, so there needs to be a method to your madness. When you’re placing furniture into storage, make sure to protect it well by placing old blankets or towels on top of them. Not all storage units are climate controlled, so it’s best to protect your furnishings from the extreme cold or heat. Staying organised in a self-storage unit is easy, but only if you give it some thought in the beginning. After all, when you know where to find your things, there’s less room for error. Children ultimately learn at different rates. Some are fast learners, some are slow. Some children are naturally gifted at learning and understanding concepts and some aren’t. These are the things that are going to determine whether or not your child would benefit greatly from the investment in personal tuition. While a lot of children might be able to master subjects and concepts on their own, a majority of them will benefit greatly from a tutor regardless. In this article, we will be discussing some of the different things that can help you figure out whether or not your child needs a tutor. The main sign that your child needs a tutor is finding him/her falling behind in the class or subject matter. You want to try to figure out whether or not your child is falling behind in order to see if hiring a tutor can be effective. You can do this by asking your child’s teacher(s) whether or not he or she is keeping up in class. Obviously, the further your child falls behind, the more they are going to need the assistance of a personal tutor to catch up. Another thing that you are going to want to consider when you are attempting to figure out whether or not your child is going to be able to benefit from a tutor is if they are suffering from a lack of motivation. If your child is not being motivated enough for whatever reason, a personal tutor is a great idea because they will be able to keep an eye on them and motivate them to continue putting in the necessary work. A lot of children simply need someone there telling them what to do and keeping them motivated by offering them new opportunities to prove themselves. This one should be obvious. If you notice your child or your child is diagnosed with any kind of learning disability, you will want to offer them all of the help that they can possibly get. By helping them by investing in extra tutoring for their classes and various subject matter, you should be able to better position them to succeed in school. This is one of the main reasons to invest in a personal tutor. Overall, there are a lot of different ways to tell whether or not you are going to want to invest in a personal tutor for your child. If you notice that your child is simply falling behind in class or a particular subject matter, it is very likely they will benefit from the investment in a tutor. Whereas, if your child is suffering from a lack of motivation, they are also likely going to benefit. Lastly, if your child suffers from any kind of learning disability, this is another way to determine whether or not to invest in a tutor for them. It seems like more and more local parents are turning to Gold Coast high school tutors. There are many reasons for this trend as students strive to make the most of their time in school and their parents want the best for their future. As you consider the reasons for high school tutors being sought after by parents, here are the most popular reasons. First of all, parents want to make sure their children have the best option for a successful future. There are many things that contribute to a successful life and having a good education is one of the most important factors. Having the academic knowledge to navigate through life is more crucial for today’s high school students than it has ever been. Another reason that parents are turning to tutors for their high school-aged children is to help them get into a good college. As previously mentioned, a solid education is crucial for a successful future. By having their children tutored, these high school students can learn the concepts they need to learn and in turn, make the grades they need to get into the colleges they desire. Getting into a good college can help secure a bright future, and high school tutors can be helpful in making this happen. Parents are also turning to high school tutors to help their children with standardised testing. Many universities require students to make a certain grades. These tests may pose a challenge for high school students. Fortunately, with the help of a tutor, many times these students can do much better on the tests than they would have if they took the test without the help. A tutor can help high school students study for the specific test and in turn, help them get the score they need to get into the college they desire. High school tutors are sought after, too, so they can help students get better grades and in turn, qualify for scholarships. While parents likely pay for the tutor, the payoff when it comes to scholarships that help pay for college is much greater than tuition for a tutor. As high school students work with their tutor, they can gain skills and knowledge needed for the classes they take. These skills and knowledge will help them as they complete assignments and take tests. Their increased skills and knowledge can help their grades improve, and in turn, they can get the scholarships that they deserve. In conclusion, there are many reasons that parents are turning to tutors for their high school children. There is no doubt that parents want what is best for their children’s future and by getting a tutor, many times this will benefit the education of the youngsters. You can help your high school child, too, by hiring a tutor to help your child gain the knowledge they need to help them in their future. If you would like to remodel your bathroom, but you have not had time to do so, you might want to consider something that is a little faster to do. People that have shower curtains might want to switch over to shower screens which can transform the way that your bathroom looks. 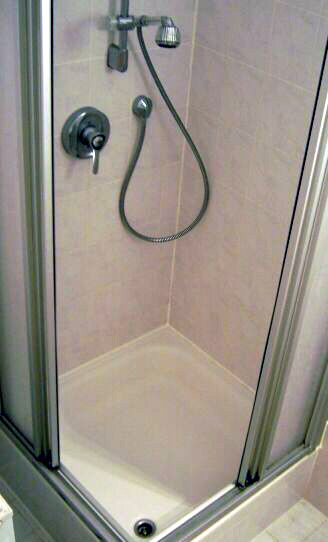 With a traditional shower, if it is a tub shower combination, there is typically a shower curtain to provide privacy and also prevent the water from getting out. Instead, you might want to fully enclose the shower using shower screens which can be transparent or semi-transparent, depending upon what you need. Shower curtains have been available for decades, and when people choose them, they are typically looking for certain patterns or styles. There is the bar that goes across that allows you to slide it back and forth when you are entering and exiting, something that is very common in bathrooms today. If you have a tub shower combination, this is probably the best choice, but if you have a single shower unit, shower screens might be your best alternative. These are transparent, or semi-transparent, and they also come in three different styles which you can choose from, whether you decide to order these online or pick them up from a local store. Let’s look at the different types of shower screens that you can buy, and how installing one of these can help you change, literally transform, the way your bathroom looks. There are a few different types that are available including those that are framed, semi-frameless, and those that are completely frameless that are for sale. Those that are framed will show the actual structure of the screens, which is something that many people like, making them feel less transparent. Semi-frameless are a very clever construction which is both practical and can minimize the amount of water leakage from any shower unit. Essentially, the frame around the shower screens is very minimal, making it look nearly transparent from every vantage point. Frameless have completely eliminated the lines that you typically see on the shower screen, leaving nothing but the glass and the handle that you pull to open and close the door visible. It just depends on what style you are looking for, and what you believe will completely transform your bathroom from something that is very common with the shower curtain to something very modern that most expensive homes have in them today. How Do You Get The Best Deals? Most people will start by taking a trip down to their local Bunnings, or similar store, that provides home-improvement materials. However, the lowest prices and the best quality you’ll find in South East Queensland is from Screens’n’More (see their facebook page). Most of these will cost anywhere between $700 and $1200, depending upon the size and material that is used. It also depends on whether it is framed, frameless, or whether you would prefer a semi-framed model which is all dependent on upon your personal preference. After you have shopped online for a few minutes, you should be able to locate several of these shower screens that are appealing to you. It is always recommended that you contact a professional installer, or if you are using a nationwide home-improvement store, they will be able to come out and do this for you. Once it is installed, you’ll wonder why you never had one before because they are so elegant and unique. It will add a bit of class to your bathroom, something that can be done in an afternoon, and transform any bathroom into something that is modern and chic. There are many reasons to choose a professional locksmith company like these guys for a variety of locksmithing services. True, everyone knows that a locksmith has the capability to break into your vehicle or home whenever you have locked yourself out. After all, this is one of their bread-and-butter tasks, and it has been for years. What a lot of people do not know about a locksmith, however, is that they do other important services. For example, a locksmith is capable of installing a wall safe in your home or office. More and more people are deciding to choose a wall safe for a place to keep their valuables. It is always a good idea not to keep all of your eggs in one basket, and we all know how vulnerable the banking institutions have become. It may be better to keep a few of your dollars on your wall safe rather than in a bank. This will be good protection in case the bank ever decides to close its doors and tie up your money. A wall safe is also a good investment to keep other valuables such as your wife’s jewelry, precious coins, important documents, and so forth. In fact, there are many investors who are converting their paper currency into gold or silver. Many of these investors do not trust keeping their precious metals in a vault somewhere in Switzerland. If there was ever an emergency or disaster how would you ever get your gold out of Switzerland. It, therefore, makes a lot more sense to keep your funds close at hand. Another valuable feature that a locksmith can do is he can cut key replicates. Have you ever taken your house or car keys down to your local hardware store to have them cut? They only charge you a couple of bucks for each key, but it is very frustrating when you get home to find out that the key does not work. The reason the key does not work is because of two important details. The first detail involves the person who has done the cutting. It usually is some 15-year-old high school kid who is working part-time at the hardware store. The second detail is because the hardware store has purchased inferior key cutting equipment. When you take your keys to a professional locksmith, he will cut your keys using only the best quality equipment. He also has been trained on this equipment so that he knows exactly how to cut the keys properly. Finally, your locksmith is someone that can help you with home security. A locksmith is trained to evaluate your home for any entry points that are easily accessible. He will then recommend specific locks for areas such as doors and windows. This will make your home secure and safe from home invasions and burglary. If you have any of the above issues, then you need to call your local professional locksmith to help you solve them as soon as possible. How do you tell the difference between termites and ants? It is amazing that many people actually think they are the same when there are many differences. It is even more incredible that most people cannot tell me whether it is an ant or termite that is put in front of their eyes. Why should you be able to know if it is ants or termites that you see? One reason is the cost of a local pest controller that you will hire. Getting rid of ants can be done yourself by tracing the ant trail and burning the nest. Finding termite nests is much tougher as they can hide buried deep in the ground. That is why you should hire professional pest control companies to provide expert assistance. So how can you spot a termite from an ant? There are currently hundreds of termite species and they differ in traits and appearance. The rank of a termite in its colony can also be told from its physical appearance. While ants are usually little and black in color except for red ants which will not be mistaken for termites, termites can range in different shades of brown. Queen termites are usually the ones with different colors, but you would not need to know them too well as they are often found only in termite nests. They also have more wings than other termite ranks. Four large wings compared to the usual two. Soldier termites, on the other hand, are commonly in a shade of yellowish brown. These are the termites which can hurt you, with huge powerful mandibles. Their heads are also larger than the termites of other ranks. From the above, you should have an easier job of telling the difference between ants and termites. Remember that it is important that you know, as termites are more dangerous and difficult to get rid of, compared to ants.